I’m currently in my third year studying medicine at Trinity College Dublin, Ireland. The application process is quite straightforward compared to UCAS. There is an application form where you have to rank the universities. Your application will be send to your first choice and if you’re rejected, you’ll then move on to your second choice and so on. You will have to send in a simple CV as well. If you’re successful, you’ll be invited for an interview around April. The interview was fairly laid back and you’ll get the usual questions with faculty member from the Irish universities. Following the outcome of your interview, you’ll either get an offer letter or be placed on the waiting list. After accepting an unconditional offer from TCD, the next issue was accommodation. 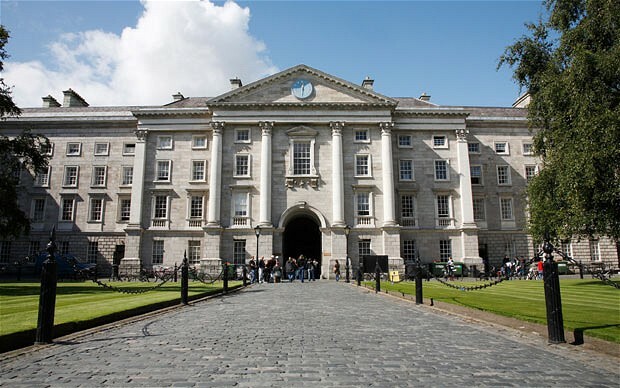 TCD has an off-campus student hall, known as Trinity hall. On-campus accommodations are generally for students with disabilities and scholars (I’ll briefly touch on the subject of scholarship later). Trinity hall basically has 2 types of accommodation, Cunningham house and the modern apartments. Cunningham house is shared while you’ll get en suite rooms in the modern rooms. There are also some twin rooms in the modern apartments. In terms of academics, TCD is similar to the system we’re used to. There will be lots of memorising and exams. But then which medical curriculum does not? To help relieving the stress from studying, TCD has many clubs and societies, ranging from sports and arts to food and drinks. There is also an on-campus gym. Socially, the Irish are the best people I’ve ever meet. Most of them are so friendly, they go out of their way to help you. But they do love their alcohol such that TCD has its own on-campus bar, called The Pav. The city of Dublin is compact and there are many affordable restaurants as well as Michelin-starred ones. The shopping scene is little less developed compared to other major European cities, like London or Paris. But it is sufficient enough to get everything you need and for the occasional splurge. Dublin also has many gardens within the city limits. There is a certain tranquility mixed in the bustling city and also a bit of ancientness mixed into the contemporary. Dublin celebrates much of the same holidays as other western countries. But one particular holiday that stands out is St. Patrick’s Day, which happens on the 17th of March every year. It is a national holiday for the Irish. On that day, the main streets in the city close and parade marches throughout the city. It is a tradition for people to wear green and paint their face in the Irish colours on that day. After the parade, the crowd disperse and gather in the many pubs of the city. In terms of weather, the stereotypical expectation is actually true for once. There isn’t much sun, especially during winter. It also rains a lot here but it isn’t like the kind of downpour that we get in Malaysia but more of an annoying, depressing kind of drizzle that comes and goes every 5 minutes. Most of the time, the rain will be accompanied by strong wind especially around November-December and I’ve never seen any umbrellas that can withstand that kind of force. Therefore, I would recommend wearing a waterproof or at least, a showerproof coat. I wish everyone all the best in their application. Hope to see you in Dublin soon! Wennweoi is an aspiring surgeon who is in her third medical year at Trinity College Dublin. She enjoys studying about anything medical but detests the exams. Also, pastries make her very happy. Hello everyone! Greetings from the land of Leprechauns and everything green!! If you are reading this article, that means you have at least a slight interest in studying Medicine in Ireland!! Well, first let me introduce myself! 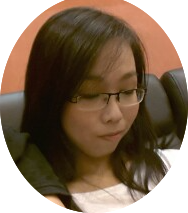 I am Yeo Chun Huay from Subang Jaya, currently studying medicine in University College Dublin, Ireland! I did the Cambridge A-Levels course in Taylor’s College Subang Jaya, which, I must say, helps a lot when you reach university since you would have covered quite a lot of things back in the A-Levels programme! Now, I am actually in the Penang Medical College program, which is a twinning program. The pre-clinical years (2.5 years) will be done here in Dublin, Ireland while the clinical years (2.5 years) will be done back in Penang, Malaysia. This is a choice for people who missed out on the IUMC dates, or didn’t meet the requirements for it. For people who don’t know what IUMC is, it’s the Irish Universities and Medical Schools Consortium. That’s where you need to apply to if you are looking for a full 5-year/6-year medicine course in Ireland. For this article, I’m just going to tell you guys about the Penang Medical College programme. You don’t need to write a personal statement or anything to enter. Basically, the process is actually quite easy. All you need to do is fill out the registration form, hand it in and wait for your interview date. Once you’ve got your interview date, you have to travel to Penang (if you don’t already live there) for the interview. For the interview, I have to say that not much preparation is needed. The common question I think was a typical medical school question, “Why do you wanna be a doctor?” Get the answer to that in your mind before you enter and you should be fine. Basically the interview is more of a confirmation from them just to check if you are serious in pursuing this medicine course and not drop out half-way. It’s a solo interview so please don’t get nerve spasms! The interviewer was quite friendly for me so you guys should have no problem. It’s most probably going to be more of a discussion than an interview anyway! If everything goes well, you will get your offer letter in matter of days or if you are lucky then in a few hours! After getting the offer, there are some things to be done too. Health check is compulsory just to check for Hepatitis B Antigens and to get your Hep B Vaccine. IELTS is also a necessity, so you need to score a 6.5 average and a minimum of 6.0 in each of the four sections of the test. IELTS wasn’t really a very hard English test for me since I have a good English foundation since young. Some tips to get you through IELTS is just to do their sample tests or watch any videos on the test you can find on YouTube! There really isn’t any point in spending a lot of money to attend their workshop since you can find everything online anyway. Just don’t panic on the day of the test and you will be fine. Apparently you can do TOEFL instead of IELTS but I went for IELTS so you need to check that yourself. For attachments, personally I’ve never had any hospital attachments before I came here to Ireland so it’s not a compulsory thing, but you may do it just to get some exposure to the medical world. Volunteer jobs are entirely up to you; if you think that they help you then by all means go ahead! There’s one more thing that I would like to add! On the website, the deadline for the registration for PMC is in February. But I actually applied in August and kind of rushed through my application in a month, and I arrived in Dublin on September the 1st! Although I got through within a month, please don’t be like me; apply earlier, please! The process of rushing is so not fun. NOT FUN AT ALL! Also, if you apply earlier at least you will have a goal to spur you through your A-Levels! So just to remind you, set your path as early as you can! That basically wraps up your application process for studying in Ireland through the PMC Programme. Since I was an A-Level student, here are some tips and reminders for you guys about the CAL programme. Study hard and look around for scholarships while you are at it. Although medical scholarships are super rare, just keep an eye out or discuss with your friends. For you guys who are going to sit for AS, score as high as possible, while you guys who are sitting for A2 soon, keep doing past years and you should be fine. Heck, I did better in A2 than in AS! Most importantly, don’t miss out on deadlines for applications! That can scar you for life, or just wait another year! Just in case some of you don’t know, Ireland is part of the European Union and not the United Kingdom, so prices for everything here is in Euro! Hope you guys have a pleasant time applying to come to Ireland! It’s a grand place and I’m sure you are going to like it here. Hope to see you guys here. Cheers! P.s: Here are the minimum requirements for the PMC programme! Yeo Chun Huay is a self-funded student currently pursuing his medicine degree in University College Dublin. He will be returning to Penang Medical College in 2017 with students from both UCD and Royal College Surgeons Ireland (RCSI). He has one motto in Ireland, if its free, don’t complain!